At the closing of 2018, AWD welcomed three new members to AWD’s Advisory Board: Jonathan Frank, Karen Horne and Wendy Mericle. 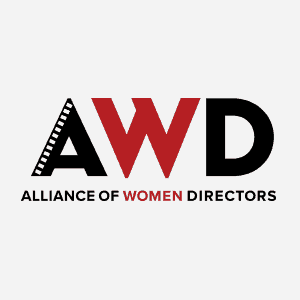 Members of the Advisory Board, which also includes Marc Guggenheim and Betty Thomas, have a proven commitment to gender parity in the industry and work to support and guide AWD’s mission. As Executive Vice President, FX Current Series and FX Productions, Jonathan Frank oversees all facets of day-to-day production for the entire slate of FX Networks’ original programming. In addition, Frank oversees the development, management and distribution of FX Productions’ original series for non-Fox Networks Group (FNG) outlets and the business operations for FXP. Frank also oversees the development and day-to-day production of FX Networks’ entry into docuseries. Karen Horne is Senior Vice President, Programming Talent Development and Inclusion for NBC Entertain-ment and Universal Television Studios. Horne oversees in-front-of and behind-the-camera primetime diversity efforts, like NBC’s Female Forward initiative, the Writers on the Verge Program, the Emerging Director Program, StandUp NBC, NBC’s Late Night Writers Workshop and the NBCUniversal Short Film Festival, among others, while also heading NBC’s Diversity Staffing Initiative and working with the creative programming team to identify diverse development. An Indiana native and graduate of Oxford University, Wendy Mericle began her television writing career on Everwood, created by Greg Berlanti. Her association with Berlanti continued as a writer on Jack & Bobby, Eli Stone and Arrow, where she was an Executive Producer and co-showrunner for three seasons (2015-2018). She has written for Ghost Whisperer, Smallville, Eastwick, Star Wars: The Clone Wars, and the iconic Desperate Housewives. In addition, Mericle has sold multiple original pilots to Warner Brothers, NBC and Fox.